We require a three dollar minimum purchase per person to enjoy our scenic hayrides and pick the perfect pumpkin from our patch. 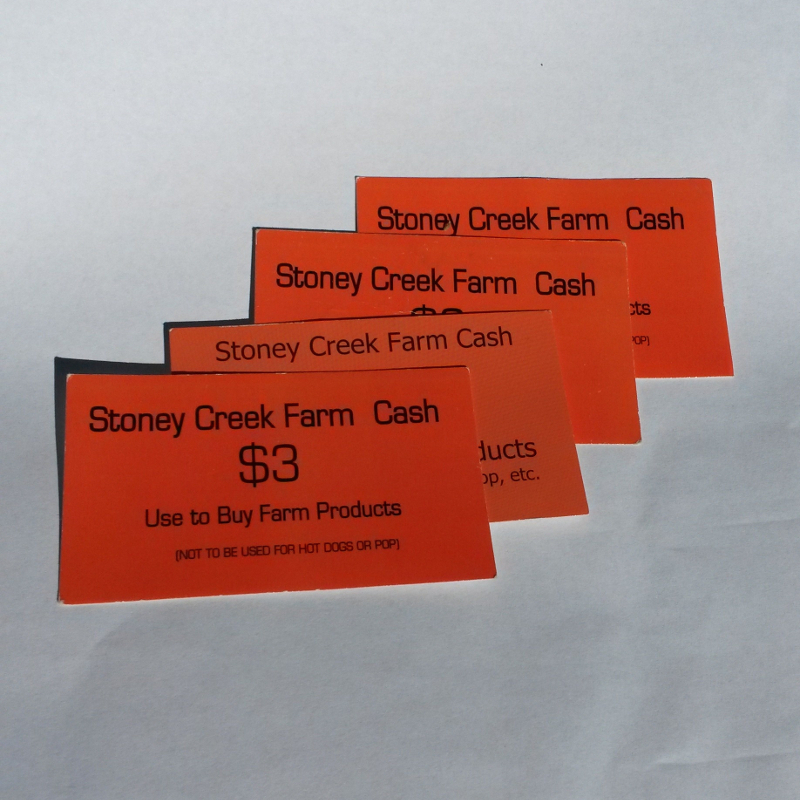 You will receive a ticket that can then be used to purchase any farm products, and offset the cost of pumpkins. Hayrides are available on Saturday and Sunday from the third Saturday in September until the end of October. With a $3 minimum purchase, one can go on a beautiful adventure through our farm, past the maple syrup camp and ponds, to the pumpkin patch. In addition to the hayride, we have a free straw maze and a meadow maze. For 50 cents one can roast a hot dog or s’more over an open fire. All activities are planned to encourage old fashioned family fun with the atmosphere of fall harvest. We encourage groups to make an appointment to come at any time. We will cheerfully open during the week for evening or daytime groups with the minimum of 15 people.